Luna is a statement piece that combines seating and table functionalities into one adjustable furnishing. 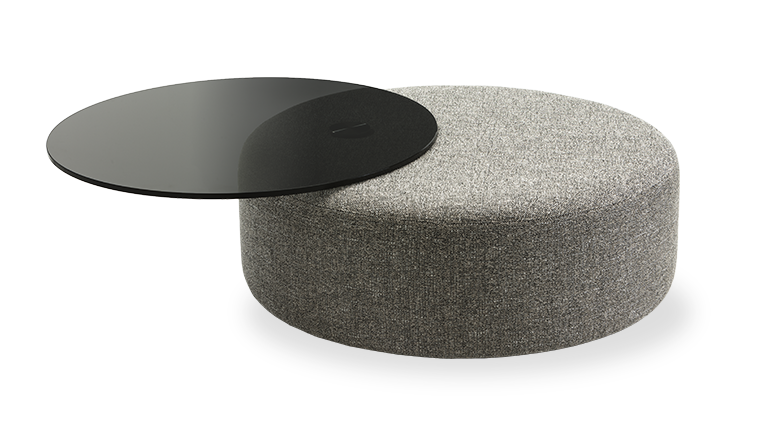 Composed of a round, smoked glass plate that is swivel-mounted to a softly padded pouf, the piece can effortlessly swing open from its closed, table state to provide additional seating for one or two people. From its new position, the tabletop can be used to hold drinks or magazines. With its flexible capabilities, the ottoman can easily be moved from room-to-room to accommodate additional guests without transporting hefty armchairs.